Our ability to understand how pathogens and hosts have adapted to each other, requires a deep understanding of how basic evolutionary processes that have shaped the genetic architecture of these organisms. In my research, we use a multidisciplinary approach that combines computational biology, population genetic/genomic analyses, phylogenetics, simple mathematical modeling, and wet lab experiments to address these issues. Developing a better understanding of the forces shaping the genetic architecture of organisms will have enormous implications on the design of strategies for the management of populations and species of interest. 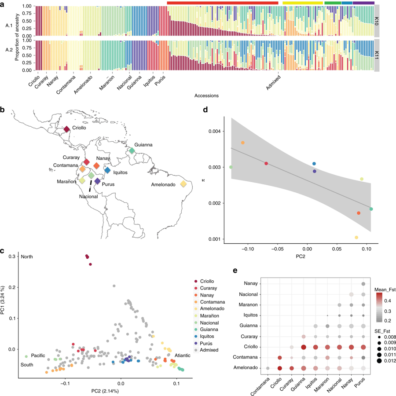 We use genomic data to infer the historical demographics of populations and use these demographics to better understand how selection has shaped specific regions of the genome to contribute to species adaptations. How important is homologous recombination for the evolution of traits involved in host shifts or adaptation to new environments? During which stages of the complex life cycle of organisms do we expect to find hotspots of adaptation? We are experts in the generation and analysis of next generation sequencing data and we provide a great learning environment for students and postdocs with a quantitative inclination. You can learn more about what we do in our lab in the Research section. 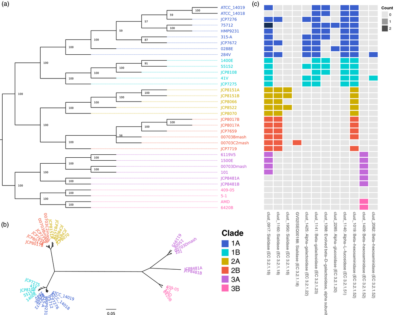 Can we infer from retrospective genomic analyses the demographic history of (micro)organisms and identify candidate genes that might be involved in their adaptation to their current niche (either host or environment)? How does that history corresponds to the demographic history of their host(s)? 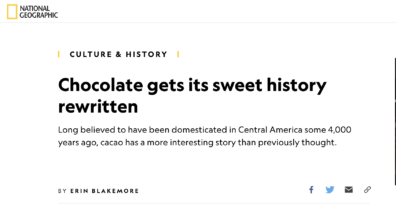 What is the evolutionary history of Theobroma cacao and what can we learn about the history of domestication of arboreal crops? What are the genetic bases of disease susceptibility? What are the difference in microbiome composition or genetics of the host that renders them susceptible to the colonization and spread of infectious diseases? What are the genetic bases of phenotypic variation in complex traits like pod color or the ability to produce offspring? These are questions that present common challenges in organisms with very distinct genomic architectures like Theobroma cacao (chocolate plants) and humans? How does the interaction of organisms modify the genomic architecture of the interacting organisms? What is the impact of overlapped generations in our inference of the demographic history of organisms? 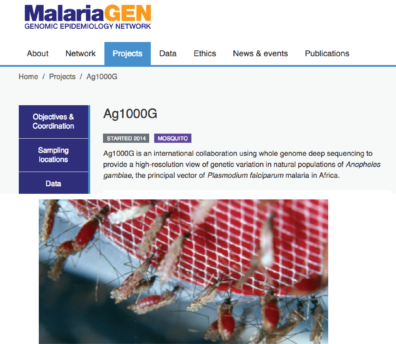 How does the recombination architecture of Anopheles gambiae shape the distribution of deleterious mutations genome-wide? If you are interested in any of these research topics do not hesitate to contact us. For more information on the opportunities in for Undergraduate, Graduate and Postodoctoral positions visit our Opportunities section.